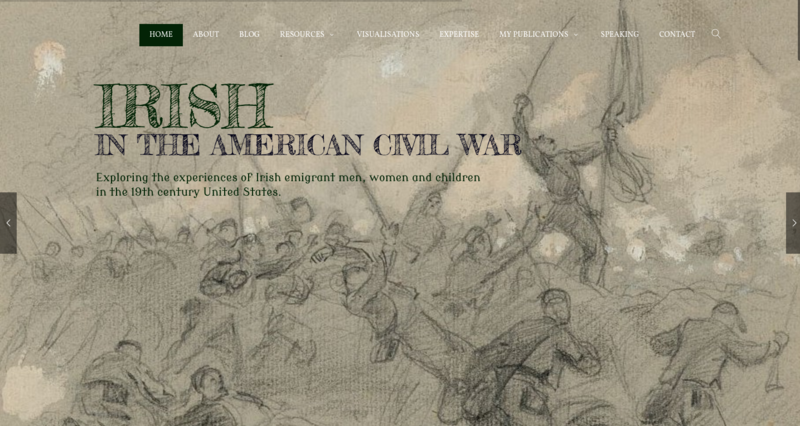 Irish in the American Civil War is about to celebrate it’s eighth birthday. As regular readers are aware, the core principal of the site is to bring the story of 19th century Irish emigrants to life and raise awareness of their experiences. I have sought to do this by making large-amounts of original research freely available to as wide a community as possible, and by trying to tell the tale of Irish emigrants in an engaging way. The site now contains hundreds of articles and resources relating to the Irish experience. Over the years, the research, development and presentation of content on Irish in the American Civil War has required considerable ongoing investment both in terms of finance and time. I have been happy to do this, as bringing this story to as wide an audience as possible has become my passion. I want to continue this work in the years to come, and to develop new and innovative ways of doing it. To assist with this, I have established a page where readers of Irish in the American Civil War can choose to support the website by becoming a Patron. Patrons can choose to contribute anything from $1 upwards a month towards the site, in return for a series of exclusive additional rewards. The different Patron levels are described in more detail below. I must stress that readers are under no obligation to become Patrons— the site will continue to operate as usual, and all readers will continue to be highly valued! If you want to find out more about becoming a Patron you can do so by clicking here or on the ‘Become a Patron’ tab at the top right of the page. The support of Patrons will go towards not only the ongoing running costs of the website and research, but also towards the development of the American Civil War County eBook series. 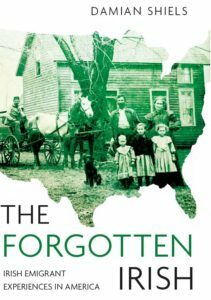 Developed on an Irish county-by-county basis, these short books will aim to highlight not only the major players from each county, but seek to tell the stories of some of the ordinary emigrants who were caught up in the American Civil War. Each eBook will tie these individuals to the wider story of emigration from their county and examine the new communities they established in the United States. In this way, the series will further highlight the immense impact of the American Civil War on Irish people in this period. A minimum of one eBook will be produced a year. Access to the patron-only feed. Your name will be added to the Supporters Page on the website. All of the above, plus access to the Irish in the American Civil War newsletter, with updates on both my work and wider news and stories of relevance to Irish involvement in the conflict. All of the above, plus access to a monthly post exclusive to patrons, where I will be discussing aspects of the Irish experience including my latest work and discussing contemporary Irish American documents and correspondence. All of the above, plus a monthly recorded podcast featuring a previously unreleased letter or document relating to Irish emigration, together with an analysis and discussion. Free access to the County eBook series as they are produced. All of the above, plus the creation of a blog post every 6 months that will focus on a specific aspect of the Irish experience based on a U.S. State/Irish County of the patron’s choice. The patron will be acknowledged at the end of the post. (*Note that patrons must support Irish in the American Civil War at the $25 level for 6 months to avail of each blog post). All of the above, plus a live one-hour online lecture/seminar on the Irish experience delivered to an audience of the patron’s choice every 6 months. A once a month live online video discussion, one hour duration, limited to ten participants. Your name acknowledged on the website as a Legion supporter, and a direct acknowledgement in future publications and projects. (*Note that patrons must support Irish in the American Civil War at the $100 level for 6 months to avail of the six-monthly online lecture/seminar).